Oakland author Eliot Peper has just published his eighth book. Sitting in the sunny living room of his Oakland home, Eliot Peper gestured toward my seat. "The chair you're sitting on is theirs," he said. "This is my Oma and Opa's furniture that they brought with them from Europe when they came." He was referring to his grandparents and the furniture — pristinely maintained, re-upholstered, mid-century modern pieces — they brought with them when they immigrated to the United States soon after World War II. As the Cold War escalated, they left Amsterdam in fear of a third global conflict, especially following their experiences in the previous one. Peper's Jewish grandfather, one of the only surviving members of his family, hid from Nazis in a secret compartment he built. His grandmother, who Peper speaks of in deeply admirable terms, was a decorated secret agent within the Dutch resistance. "While she had three infants and a husband who would be killed on a dime, she volunteered to smuggle information, supplies, and people all throughout Holland throughout the whole war." Her efforts saved dozens of lives. "Writing this book," Peper continued, "she was present the whole time." It is perhaps a surprising revelation about his new book Borderless, a science fiction thriller that follows Diana, a recently ousted government spy who takes on a mysterious assignment, leading her into a conspiracy that forces an unprecedented collision of technology and politics. But this inspiration can be traced to the book's title, which refers to a near-future world hyper-globalized by technology and conversely inspiring tribalist mentalities as countries close off their borders. It's a version of the future reminiscent of the dark past that Peper's grandparents knew all too well. The book, though, is more than anything a sharply rendered, wildly entertaining thriller speaking to the dangerous realities of our present: climate change, the changing shape of power, the very American values that defined Peper's grandparents' post-war lives — themes that are now fraught within our real world as it becomes increasingly globalized and divided. 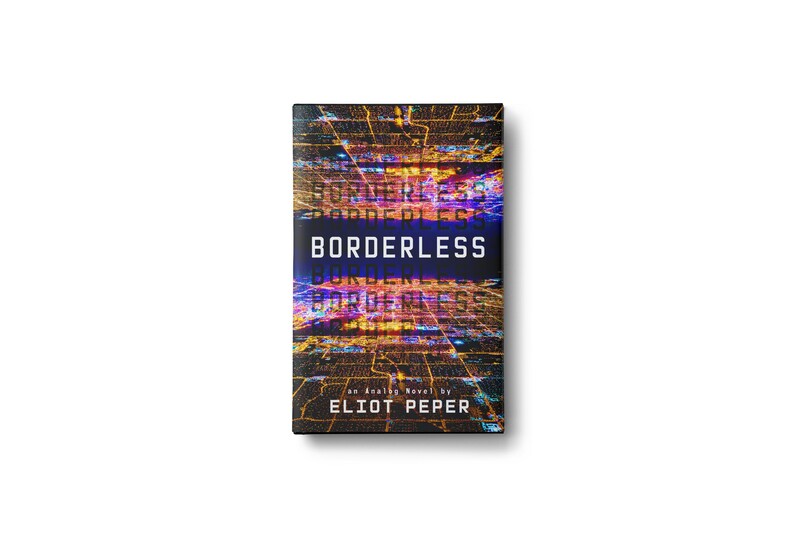 With Borderless, the second in a planned trilogy (the books can be read as standalone novels) and Peper's eighth book — each of which focuses on tech's role in society in some form — the 32-year old author was interested in how technology is at the center of this jarring change. "We have now a completely global economy, a completely global information and communication network," he said. The internet has spurred a redefinition of the very concept of nation-states, which was developed, Peper notes, only centuries ago during the Treaty of Westphalia in Europe. "The whole framework of growing up as a citizen in a country is just as artificial as anything else. It's a collective fiction that we all participate in," he said. 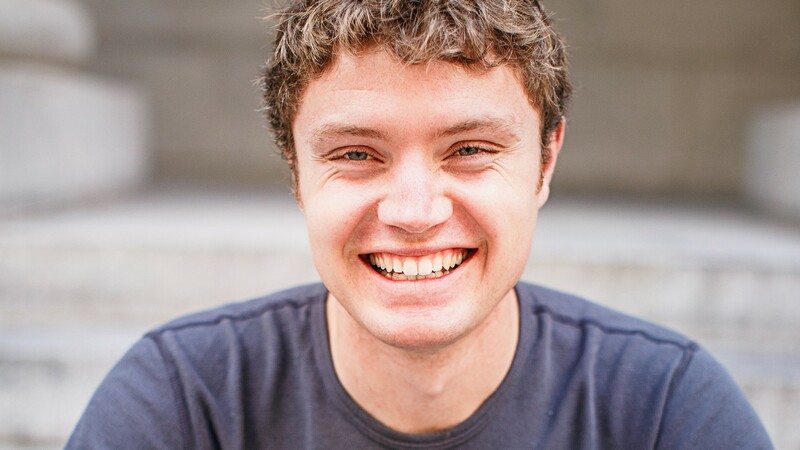 "Because technology is changing, it's starting to subvert a lot of those old assumptions. The internet is breaking the Treaty of Westphalia." And yet, while they simultaneously fossilize the concept of independent nations, tech companies have evolved into international political players themselves. "What does it mean when Google becomes this huge geopolitical force in the world, but they're not in the UN?" Peper said. "Apple isn't a country, but it has a budget that's bigger than most countries' GDPs." In Borderless, Commonwealth, a San Francisco-based tech company, is the ultimate version of this paradox of sorts. It runs the "feed," which Peper calls a "digital layer on the world," that has its hand in every imaginable infrastructure in the world. The product has broken down the world's borders while becoming its most powerful political entity. "You can imagine it like every tech company in the world today buys each other and integrates all their products — times a thousand," Peper explained. In the real world, startups evolve similarly into global forces in a matter of years. How do these companies use this unwieldy level of influence that affects billions of people? "The culture in Silicon Valley has not at all come to terms with that yet — at all," said Peper. "And in parallel, the culture in D.C. still doesn't understand how technology is changing power. There's this mutual blindness that is creating a lot of opportunities for tension and conflict and disaster." This becomes the central friction in Borderless, as Diana's assignment leads her to Commonwealth and a plot that sees technology putting a stranglehold on the fundamental structures of power. It is an exaggerated reflection of tech's wholesale infiltration of human existence, but also a frighteningly realistic one. Consolidating data and monopolizing is a logical goal — and effective means to admittedly better products — for tech companies, Peper said. The interrogation of goodness and of social responsibility is, in his eyes, fundamental to these new intersections of power, not only within the book, but also within the world at a precarious moment of change. "When you look at Trump building a wall, when you look at trade wars, when you look at immigration and the refugee crisis — all of these are a product of our old definition of political boundaries not matching the reality of life in 2018," Peper said. As for his feelings, then, about tech, which largely shapes this new future, Peper can only answer "obliquely." "One thing I've really tried to do with these books is paint a future that is shades of gray — that isn't a dystopia, that isn't a utopia," he said of Borderless and its predecessor Bandwidth. "It's somewhere in the middle. It feels weird and conflicted." The same can be said of technology in its current state. Nevertheless, Peper would not want to live in any other time — life is undeniably better now than at any other point in history. Yet, he added, when it comes to tech, "convenience is a good reason, but it is not enough." "How can we use these tools intentionally in a way that creates the future we want to live in?" he said. As the world becomes singularly connected, thinking of intention and responsibility becomes ever necessary.